Reverse Spins picks and reviews the best in metaphysical and esoteric literature, from fiction to some non-fiction. The only prerequisite is that the book must be a good read, and if it's non-fiction then it must read like a story. 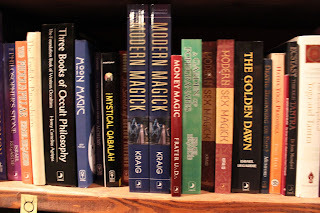 There is a lack of modern Occult fiction here as you will notice. They all seem to be either wishy-washy, opportunistic, dabblers in witchcraft or UFO's or just plain pabulum, lacking the spiritual disciplines of the Path. Sometimes the books on this list are the best medicine for getting back on the Path when one hits a stumbling block and needs an infusion of inspiration.